Halloween is my favorite holiday after Christmas. When I was growing up I used to get so excited for Halloween every year that I would make myself sick! So the majority of my elementary years were spent trudging all over neighborhoods with sniffles and my mom running after me with tissues to blow my nose. Glamorous. In college we used to blast spOoOoky music out the window of our sorority house, so that everyone walking to class could get in the spirit with us. We loved peeking out the window watching people attempt to do the thriller dance while trudging through snow, weighed down by backpacks and fluffy ski jackets. This year, Halloween weekend has been pretty subdued. (Life right after college is kind of boring, huh.) Going to the bars makes for fantastic people watching, as scantily clad girls throw even more inhibition to the wind in their barely there costumes lingerie, and the men are close behind ready to scoop them up. It's hilarious to watch, a bit creepy, but a good time nonetheless. 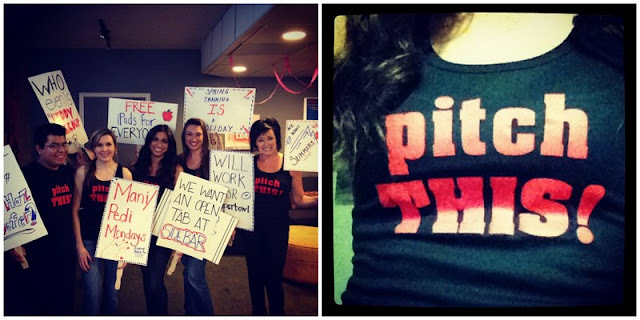 At our annual Halloween party at work, the PR team dressed up as an Occupy movement. 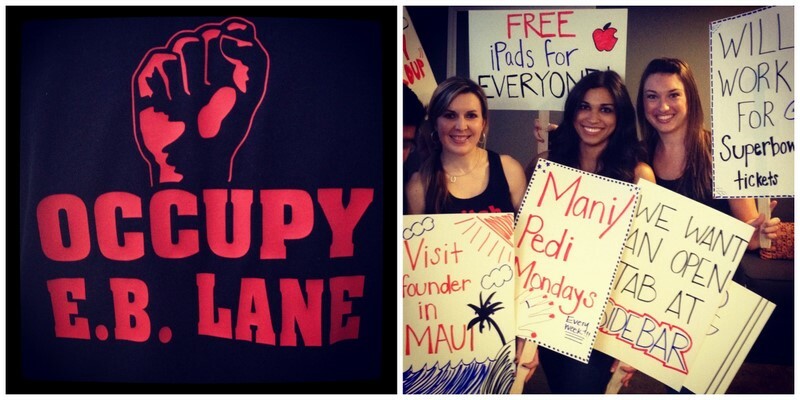 We stomped around the office shouting our demands, including free iPads for everyone and mani/pedi mondays. We won most creative for the second year in a row! Not only that, I won 2nd place in the appetizer contest (I won last year too!) 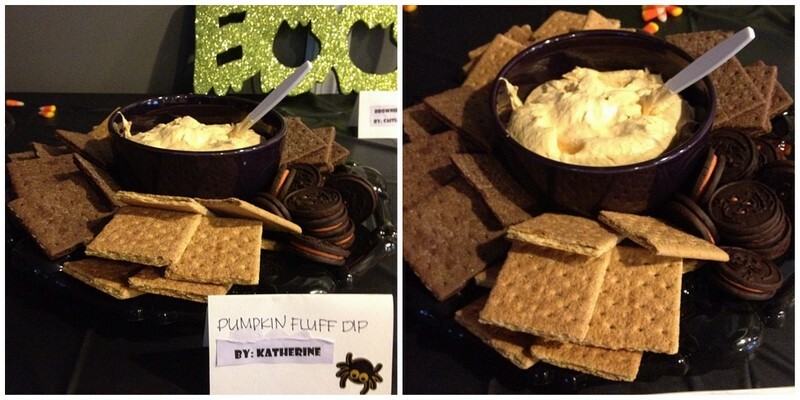 with the best tasting dip I've ever had....Pumpkin Fluff. It's SO GOOD. And takes approximately 6 minutes to make. Which is awesome. - Mix together in the cool whip bucket. Yup. That was it! 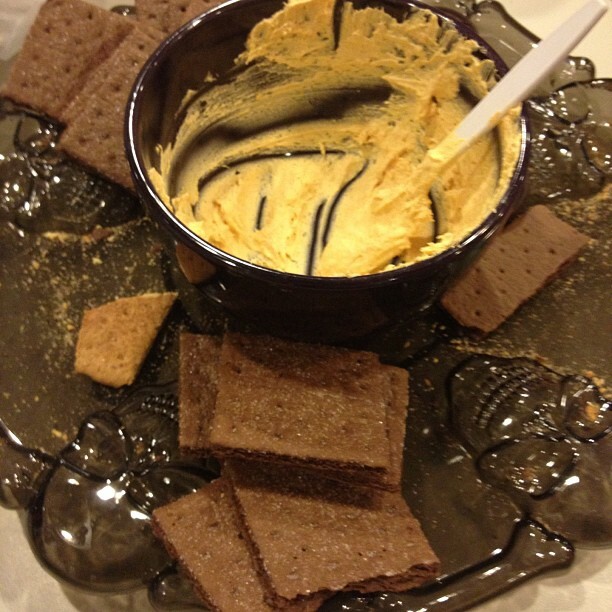 Serve with cinnamon and chocolate graham crackers, or even Halloween oreos. The cinnamon were my favorite! Then sit back and watch it disappear. 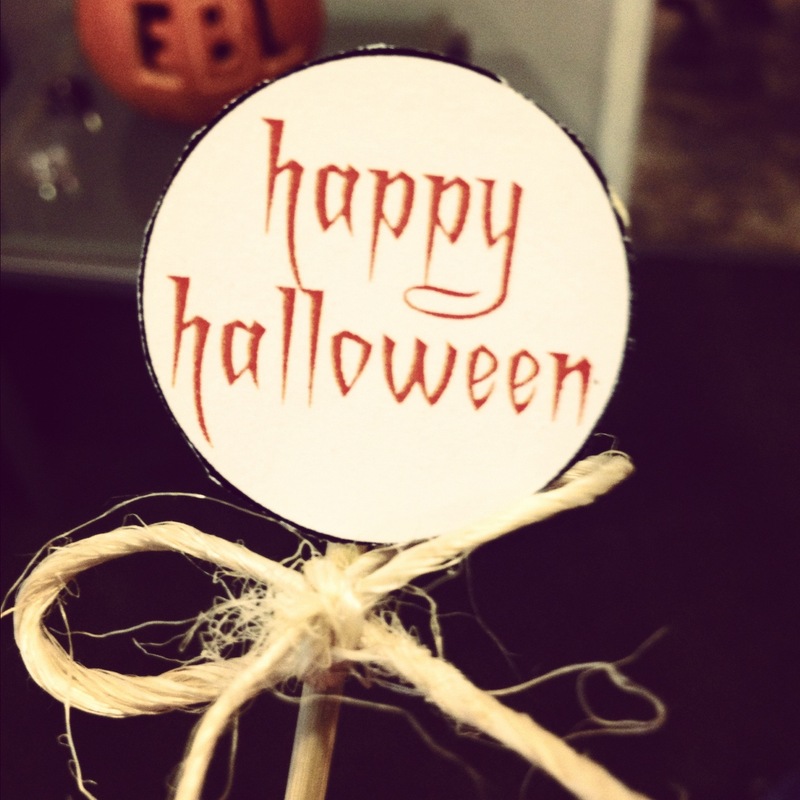 Here's to hoping you all have a fantastic Halloween! I'll be eating pumpkin fluff and wishing cute trick-or-treaters would stop by my apartment. Might squeeze in a scary movie as well, but I doubt I'll be able to handle it. No joke...I'm about to get up and eat pumpkin fluff for breakfast. With a spoon. AMAZING. Fluff for breakfast is amazing. We tried it with nilla wafers last night...um, incredible. Maybe with apples next time? Pancakes? Scones? Oh the possibilities.